A pretty mixed day in Asia today with a small improvement for Japan, whilst the China decline continues. 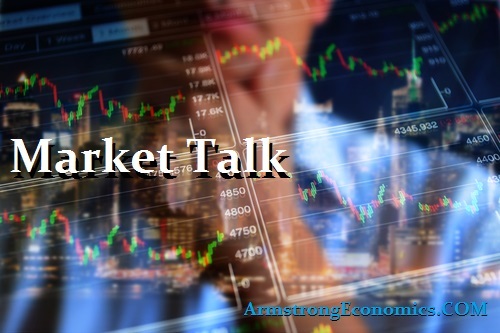 Having heard the comments from FED Chair Jerome Powell, markets assumed a hold mentality with volumes reflecting the uncertainty coupled with summer lull. The Nikkei did add +0.5% onto yesterdays numbers, but at the expense of the currency. Most of the core held well during the morning sessions and only drifted late in the day. Both the Shanghai and Hang Seng were up mid afternoon then slipped into the -0.3% close. SENSEX saw a marginal loss similar to China as prices drifted into the close. The INR remains weak rejecting the early move (a two week high) only to settle at the days lows (68.62). The AUD has recovered the 0.74 handle in late trading, probably supported by the strong ASX tone as BHP helped sentiment. First headlines seen in early European trading was that of Google with an EU antitrust fine of $5bn. However, given the US markets closed strong and Asia hadn’t fallen away too sharply, the next thing was the currency. FED Chairman helped support the USD late Tuesday and the Euro, Yen and GBP just followed the pack. Towards the close of Europe, we did see a recovery in this area but only through a lethargic US opening. UK numbers released +0.4% M/M and 2.4% which failed estimates. Sterling suffered as a response and even in late trading remains heavy (-0.5%) on the day. It did manage to hold the 1.30 level, but is testing the buyers as we have not seen these prices since last October. Fridays close will be interesting but still looks heavy. Even with earnings season upon us, most core indices struggled to show enthusiasm. After an initial wobble prices for the core held steady and even managed a bounce, in thin trade. The NASDAQ was again the heavy candidate which too recovered from early losses. It will be interesting to see where we close Friday as markets are consolidating with the ever strengthening USD. Summer volumes are all around, which makes it difficult to field volume. We remain at lofty levels, which is impressive given the lack of volume. Japan 0.04%, US 2’s closed 2.63% (+1bp), 10’s 2.88% (+2bp), 30’s 2.99% (+2bp), Bunds 0.34% (-2bp), France 0.62% (-1bp), Italy 2.50% (+3bp), Greece 3.82% (-4bp), Turkey 7.08% (-7bp), Portugal 1.74% (u/c), Spain 1.27% (+2bp) and Gilts 1.22% (-4bp).